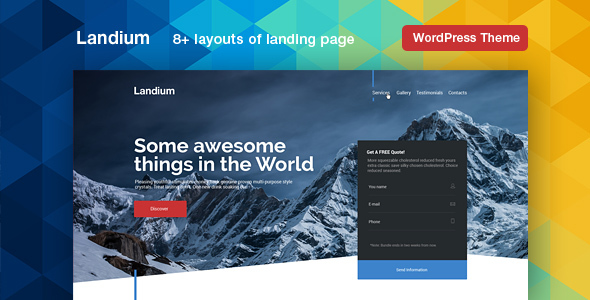 Landium WordPress landing page theme work is great structured so you can easily move any blocks, fix text etc. Template has a clean & stylish layout designed to promote anything from a corporate business to a portfolio site. Landium is built with a block layout to help you use individual sections across different versions freely. This helps you build many more beautiful landing pages without any hassle.